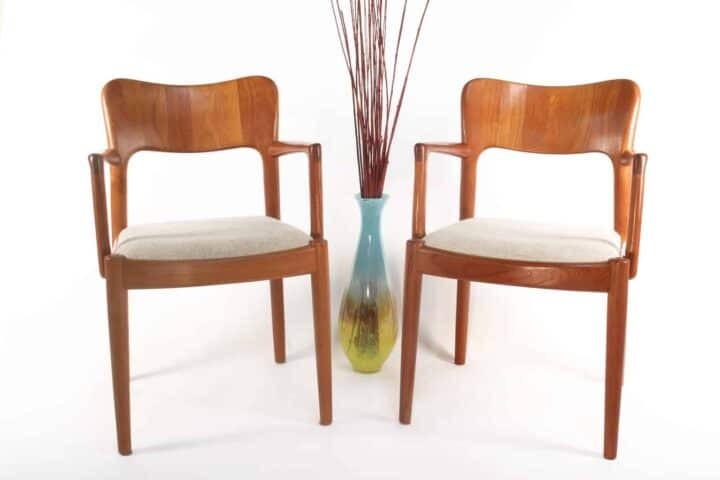 6 Wishbone Dining Chairs in the style of Hans Wegner. There are two arm chairs and 4 side chairs.These have just been refinished with a mahogany looking stain. They are a good match with a rosewood table we have in the shop.